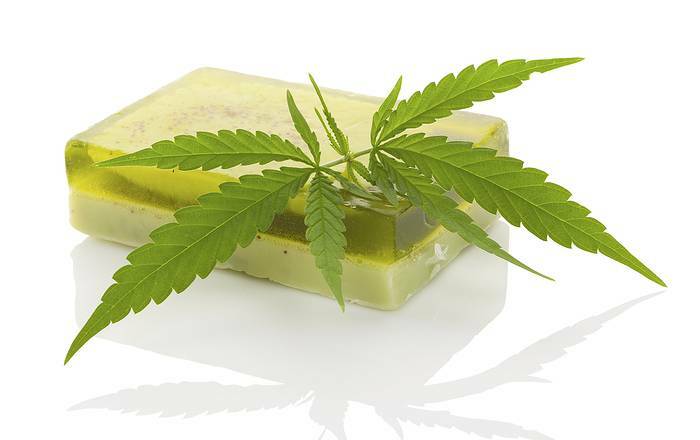 Extracts from the industrial hemp plant are increasingly appearing in cosmetics, skin and other personal care products. Is this just a gimmick riding on the current cannabis trend or do the additives actually provide benefits? Let’s take a look at the components of cannabis that go into these products. Much of the benefit attributed to hemp skin care products is through the use of hempseed oil (not to be confused with cannabis or hemp oil). This oil is very high in essential fatty acids (EFA’s), polyunsaturated fatty acids (PUFAs) and other nutrients that aren’t just great for dietary purposes, but for topical applications as well. Hemp seed oil is an effective moisturizer, providing the skin with a barrier to pollutants and can also soothe muscle aches. Just on the topic of sunscreens, natural hemp seed oil is said to have an SPF rating of 6. While that isn’t very high, it makes it a good candidate for use as a natural component in preparations with a final SPF offering higher protection. It’s important to understand that hempseed oil contains very little, if any, cannabidiol (CBD or tetrahydrocannabinol (THC). These compounds are called cannabinoids, often used for therapeutic purposes. If a product includes either of these compounds, it should be mentioned separately on ingredients listings, along with the level it contains. 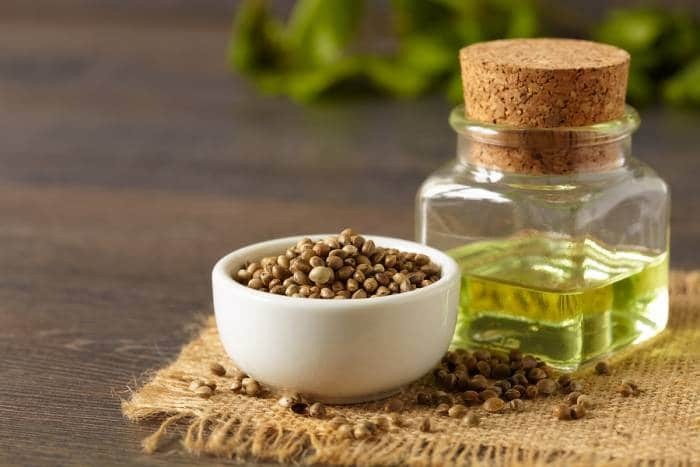 You don’t need to apply hempseed oil topically for it to benefit your skin – incorporating (food grade) hempseed oil into your diet can also help with issues such as skin dryness and itchiness. A very valuable cannabis extract is a cannabinoid called cannabidiol (CBD). Among its many reported beneficial properties are antioxidant and anti-ageing attributes when applied topically to skin. CBD is said to work with our own endocannabinoid system; promoting repair and rejuvenation of skin. Cannabinoids such as CBD can also help protect the skin from environmental damage, such as over-exposure to sunlight. Cannabidiol has also been appearing more frequently in treatments for acne and other skin conditions. The body produces an endocannabinoid called anandamide, which promotes sebum production. Too much sebum can increase oiliness and blocks pores in the skin; providing an environment in which bacteria thrives. This can lead to acne. THC is the psychoactive component of cannabis. However, when applied in small quantities topically, it does not induce a mood altering effect. Unlike marijuana that can be high in THC, industrial hemp has very low naturally occurring levels of tetrahydrocannabinol (and in hemp seeds, next to none). THC is believed to help protect the cannabis plant from pathogens, and as humans have their own endocannabinoid system vital to good health, it may be that the compound could play an important role in skin care too. A 2013 study indicated tetrahydrocannabinol applied topically could effectively reduce contact allergic inflammation, by decreasing keratinocyte-derived pro-inflammatory mediators. In 2017, researchers concluded that tetrahydrocannabinol may be useful in addressing skin conditions such as treating pruritus – severe itching. Like cannabidiol, THC is a potent antioxidant. Antioxidants are thought to reduce wrinkles and other aging effects on skin. Hemp and marijuana based products can be easily purchased over the Internet, but that doesn’t necessarily mean it’s legal in your country to import them. While generally you should be fine with skin care products just containing hemp seed oil; take particular care in determining the legality of any product that specifically mentions cannabidiol or tetrahydrocannabinol as an ingredient. It’s not worth copping a fine (or worse) for a bar of soap. While we’re of course big fans of the potential of industrial hemp here on HG, we’ve also concerned how cannabis is being promoted as a silver bullet cure for “anything that ails ya”. Whether it’s on your plate, in pills, potions or lotions; chewed, swallowed or lathered on your skin; your own mileage from hemp products may vary – so don’t just accept everything positive you read as what you’ll experience. Some industrial hemp skin care and cosmetic products have a huge price tag, one that probably isn’t justified by what might be just a bit of extract mixed into Vitamin E cream. That said, while trends come and go, it looks like industrial hemp will have a permanent role in the cosmetics and personal care products industry – and that’s good for everyone.